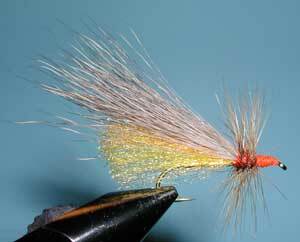 Notes: Lee Clark developed a series of stonefly imitations while fishing the Metolius and Deshutes River of Oregon in the early 1980's. The popularity of this pattern is due to the ease of tying as well as the durability and floatation characteristics. 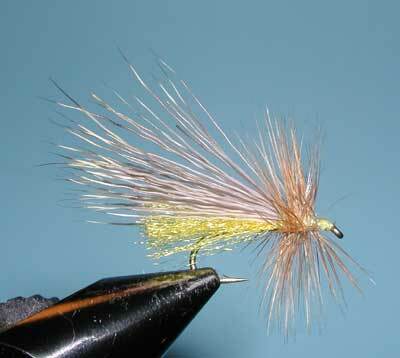 The Little Yellow Stonefly can be used to imitate Yellow Sallies, and other small yellow stoneflies. It can also imitate grasshoppers and caddis. Other variations include the larger Clark's Stonefly for Golden Stones and Salmonflies, the Little Brown Stonefly for Caddis and small brown stones, and the Little Green Stone for the small bright green stoneflies. An effective use of the fly is to skitter the fly along the top of the water. Cast downstream and across the current, particularly under overhanging branches or cover. Give up slack to the line to float the fly freely for a few feet, then strip the line about 1-5 feet and repeat the slack technique. 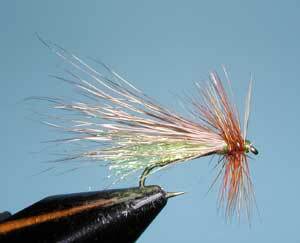 Continue this technique until the fly is out of the desired fish zone and recast. 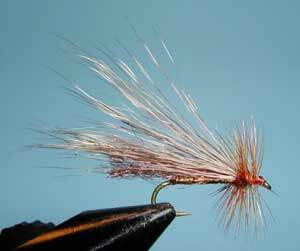 In the Sierra's this fly is effective June through August.